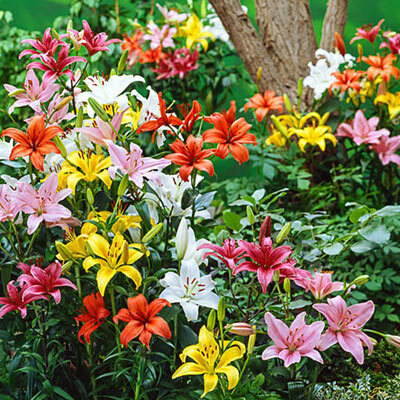 We are pleased to offer some of the most colorful and vigorous Asiatic Hybrid Lilies available anywhere in the world. Ideal for naturalizing in perennial borders or formal plantings. Multiple, long-lasting blooms make them outstanding elements in floral designs.